CS82 Edition of 99. Numbered. Comes with Download Code. It has been two decades since Jim Shepard died. 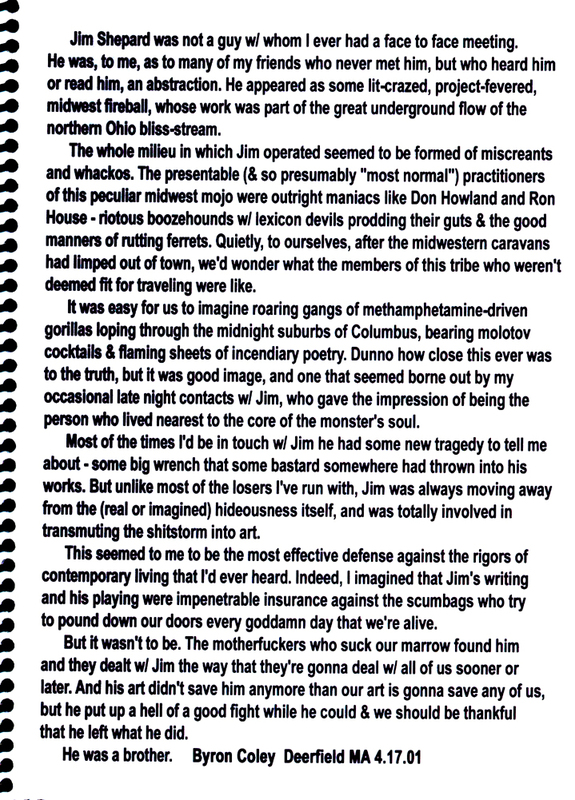 In the intervening time, large parts of his crazy DIY ethic (shared by such fellow travelers as Mike Rep, Tommy Jay, Ron House and Don Howland) has wormed its way close to the surface of the sub-underground slag heap, at least now and then. But really, it’s an outsider stance. Not hewing to any actual tradition apart from a strange form of rugged individualism, practiced in the name of art. 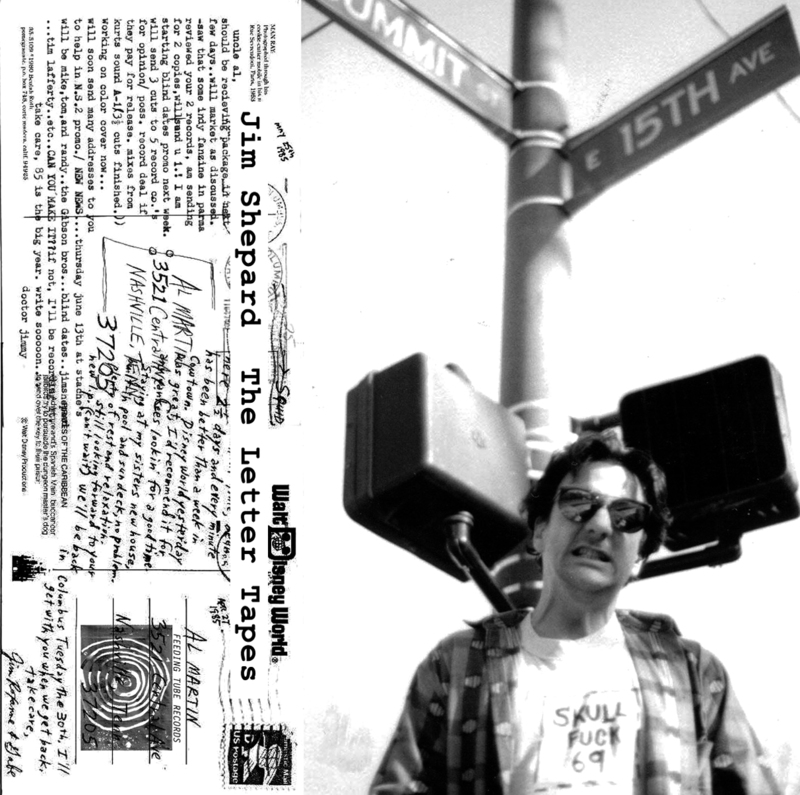 The Letter Tapes is a compilation of material Jim sent to his buddy, Nudge Squidfish. Nudge had moved from Columbus OH to Nashville TN in the early ’80s, after The True Believers packed it in. Jim and Nudge swapped lots of tapes back and forth, as was their want, and this cassette pulls together a sweet slab of them. The recordings range from Vertical Slit’s sludge-prog to the more elegantly shaped work of Skullbank, along with solo reading and talking, various noise experiments, off-the-cuff solo inventions and whatnot. In the ’90s, Jim released lots of cassettes on his own Iron Press imprint, but it’s pretty cool to hear what was running through his head earlier.